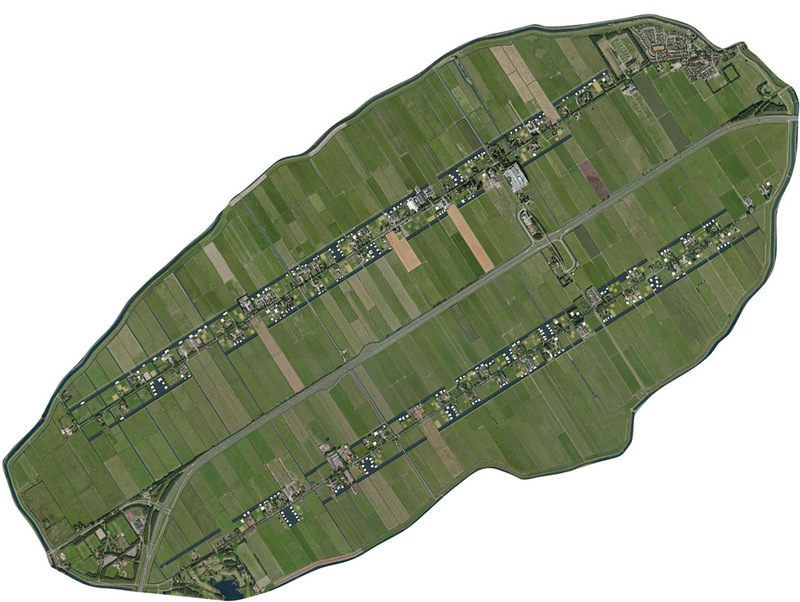 The task with which the province of Noord-Holland sees itself confronted in the coming decades is a typical Dutch one; until 2040, 200.000 homes are to be built while 2.000 hectares of farmland have to be cleared for the storage of excess surface water. Normally farmers are saddled with the burdens of water retention, while the revenues of housing developments are for the property of project-developers, both of which go at the expense of the landscape. Water voor wonen is a concept that links the building and the water assignment to reduce the spatial claim on historical Dutch landscape and in doing so bringing an end to financially distorted relationship between burden and benefit. The principle here is that farmers, in exchange for storing water on their land, are given the legal rights to develop floating houses on this newly created water surface. 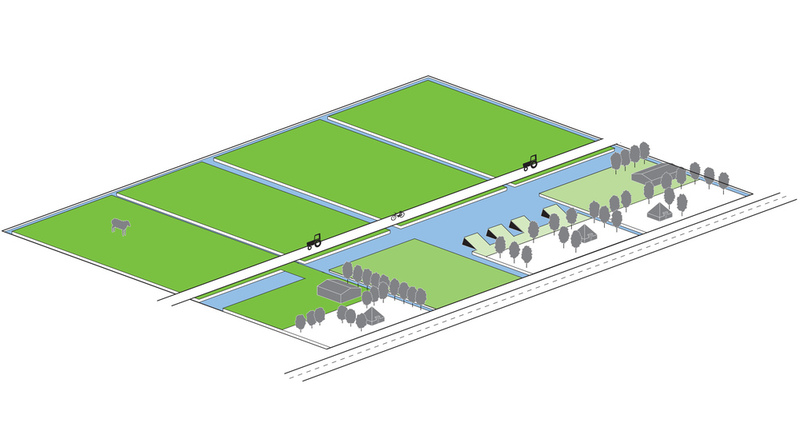 Within the Wijdewormer polder, agricultural entrepreneurs are to realize a certain quantity of open water behind their yards, patterned as a neat system of ditches aligned to the main road. This newly created water surface can be leased out or sold as building lots on behalf of the development of CO2 neutral floating-houses. The architectural desing of these dwellings is camouflaged from the old and traditional street view by covering them with a green roof. Part of the profits of this new housing can be invested in nature development and sustainable energy sources such as solar panels and a collective biogas system. Farmers will also invest in new agricultural facility roads along the ditch that can double as cycle and footpaths for recreational purposes. New occupants will feel involved with agriculture and can start their own vegetable gardens under the auspices of the professional farmer.